The study, done in association with the Consumer Electronics and Appliances Manufacturers Association (CEAMA), points out that while over 75 percent of the ACE products sold in India are locally manufactured or assembled, less than 50 percent value addition happens domestically. The booming Indian appliances and consumer electronics (ACE) industry has the potential to create 1.5 to 2 times more jobs than it does today with enabling policies to promote local value addition, says a PwC report. The Indian ACE sector has skipped the overall growth blues in the manufacturing sector and was worth Rs 64,752 crore in 2016/17 as against Rs 55,765 crore in the previous year. According to the study, domestic cumulative value addition in the production cycle has been less than 40 per cent for most new age ACE products and 7 per cent for smart phones, far lower than the global average. Further, nearly 84 per cent of the participants surveyed for the report stated that their overall domestic value addition in production was less than 50 per cent. Limited domestic component ecosystem, high cost of finance and power, and inefficient infrastructure were highlighted as the key impediments. "With the support from the government, the Indian ACE industry aspires to increase the local value added by 2x - 3x. With a boost to domestic value addition, the number of jobs can increase by more than 1.5-2x as compared to the base case growth of 1x", the study points out. It adds that -- based on inputs from over 40 C-suite executives of leading ACE players in India -- creation of large scale demand, tapping export opportunities, making domestic manufacturing cost-competitive and easy, are the key interventions needed to promote the local ACE sector. "The government's efforts coupled with positive transformation of consumer behaviour and desire to adopt more modern technologies are likely to create a significant increase in demand for ACE products. However, to unlock the full potential of the ACE industry, we need to build an ecosystem of supportive regulations around technology enablement and a strong domestic R&D backbone supported with manufacturing competitiveness," says Sandeep Ladda, PwC India Partner, Global TMT Tax Leader and Technology Sector Leader. 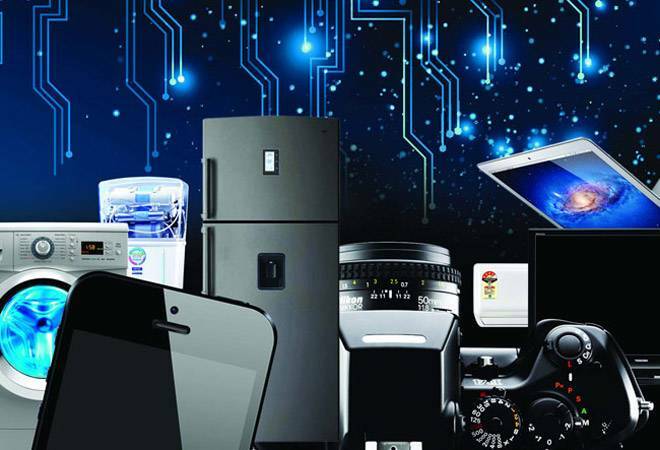 The study, titled "Championing change in the Indian appliance and consumer industry", predicted that the Indian ACE would grow at a CAGR of about 10 per cent by 2022.